In combination with the installation of the proper locks on doors, a security system is an essential aspect of keeping property secure. Kleppers offers 24-hour monitoring systems that will alert you of an intrusion and contact fire and/or police departments. Many types of residential security systems are available and we can customize any one of them to meet your particular needs. We can install a system that will alert the authorities and create an audible siren if a particular door is breached or if multiple doors are breached. We post a visible warning sign indicating that your property is protected by Kleppers Security Source to deter intruders. Sensors can also be added to windows to detect breakage. Motion, smoke, fire and carbon dioxide detectors can also be added onto your security system. Driveway motion sensors illuminate your path and also act as a deterrent to unwanted visitors. Deadbolt locks are an excellent way to secure your home. Our mobile service trucks are stocked with high-quality durable name-brand deadbolts and knob sets, including Kwikset, Arrow, and Schlage. Deadbolt InstallationIf the hardware allows, we can key the locks so that your existing keys work in your newly installed deadbolt. In addition to installing the deadbolt of your choice, we will be glad to advise you on the type of deadbolt that will best meet your security needs. Interested in dressing up your front door? We install many different styles of peepholes, kick plates, doorknockers, handle sets, deadbolts, door chains, door chimes, and much more. 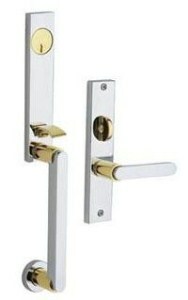 Stop by and take a look at the wide variety of door hardware that is available for installation. Do you need to change the locks on your home? We have a money-saving solution for you. Changing each individual lock in your home can be costly, but we can cut that cost. We provide a rekeying service that normally costs half the price of replacing all of your existing door hardware. As a full service locksmith shop our highly trained technicians will repair and replace parts of your existing locks at a lower cost than buying an entirely new lock. 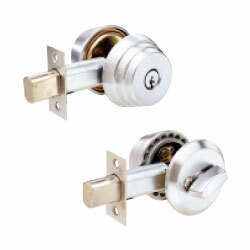 In addition to servicing locks, we have access to various door-repair products. We skillfully restore doors that have been broken into or that have not been serviced for a long period of time. Have you ever been in a hurry or distracted for a moment and realized that you’ve been locked out of your house or car? We have a simple solution that will prevent you from being locked out. 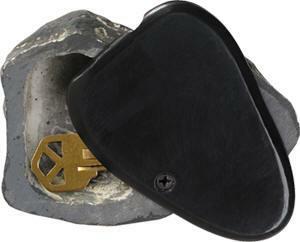 Rather than paying for an on-site service call, pick up an affordable key box or a hide-a-key in our shop. The next time you find you’ve been locked out you will be able to rely on your key box or hide-a-key to remedy the problem. 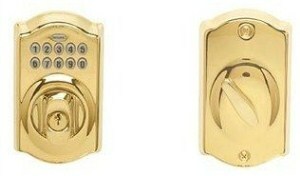 High security locks are tamper-resistant and also provide you with the ability to control key duplication. These high-tech locks are pick proof, bump key proof, and drill resistant. We offer installation of high security locks to our customers who need prevent lock tampering. We understand that our customers want to feel safe and secure regarding key control. We provide you with peace of mind by assuring that persons carrying keys to your property won’t be able to have duplicates made without your permission. In an effort to protect you and your property, we sell specially made keys and hardware that are not available for duplication at any key shop or retailer with a key-cutting machine. We maintain up-to-date records of persons authorized to receive duplicate keys. In order to have a duplicate key made, the person requesting the key will be asked for identification and authorization will be verified. Our products and services extend far beyond front door lock installation. We understand that there is a growing need to secure small items such as household chemicals, guns, valuables, documents, etc. There are many basic locks on the market that can be easily adjusted to meet your needs. Our service technicians are very skilled at making a lock blend in so that it appears to be part of the furniture. 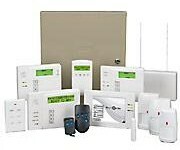 We install many different types of home security alarm systems. We will be glad to assist you with selecting and customizing the right alarm system to meet your needs. All of our alarm systems come with the option of a 24-hour monitoring operator who will contact the proper authority should the alarm go off. Please refer to our security page for more information.